I mean this. THIS BEAST! 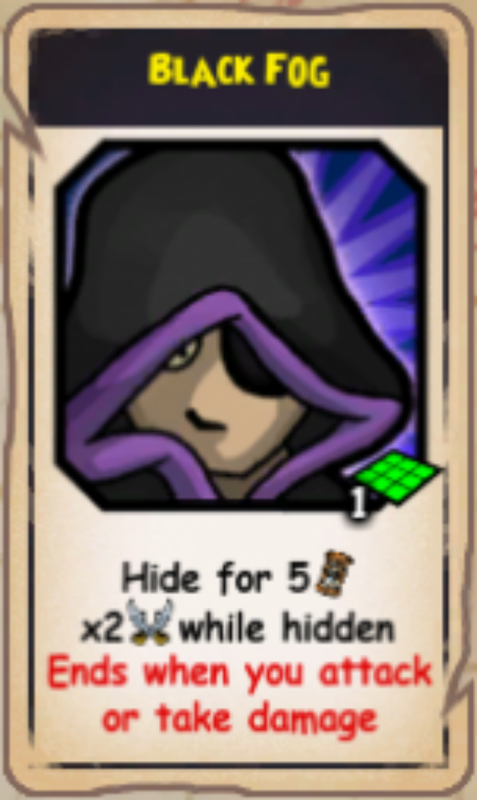 If you’re still new and wondering, “What’s that?”, it is the power Old Scratch received from his much anticipated 4th Promotion in September 2018’s Pirate101 update. This power seems completely fine. Nothing wrong with it, right? The description seems fine: 337 damage to team. Maybe the weird thing is the 140 range, right? The truth is: don’t let the looks fool you. 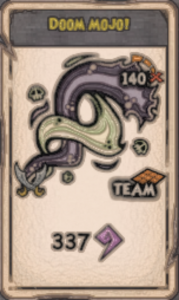 I would NEVER use this power in a team fight like Tower of Moo Manchu’s Dungeon or Smugglers or Kane if you’re doing them with other pirates. It could be taken under the trolling part if anything. This power could wipe teams from both enemy and ally sides. Please realize that this could be frustrating to other pirates in the same battle with you. They wouldn’t want to lose their companions. So if anything, be civil and just use this power when soloing — if you’re enjoying it! So what makes this power “scary”? The answer is simple. This power is basically another Haywire Strike/Haywire Shot (meaning that its damage is incredibly random), but even more volatile. Doom Mojo can target and hit everyone on the board, both allies and enemies. You’ve seen it in Old Scratch’s Nightmare boss fight. It can target one unit and hit that unit four times in one round (for a total of over 1200 damage! ), while other units may only be hit twice, or even zero times. Unfortunately, it tends to deal a HUGE amount of damage on its targets randomly (after the initial hit(s)). As a point of comparison, think of Haywire Strike’s ability to deal damage after its initial hit is over. If your whole team is hit by these after-effect hits, ther will be less chance of you surviving the battle, as your crew is dead or at very low health. Haywire Strike does between 384 to 3000 damage randomly, but just to one target (an enemy that you choose). In addition, it wouldn’t hit everyone around you; just the selected target. Meanwhile, Doom Mojo can do that much damage to almost everyone on the battle board, turning the power into a bloodbath. It’s capable of killing every enemy on the battlefield, but it will quite often cost you your entire team. Still, that’s not the spookiest part yet! a spooky power even spookier? Some classes are able to take advantage of Doom Mojo’s power. And by taking advantage I mean literally. How so, you ask? Let me show you. I’ll be discussing the applications of this power in SOLO PvE. Swashbucklers are able to abuse Doom Mojo with Black Fog to make it deal MORE damage than it already would. This causes an increased chance of wiping an entire team! That’s right! Swashbucklers can use Black Fog on Old Scratch and, then, use Doom Mojo that same round. This causes the power to double its base damage, PLUS the aforementioned extra damage. Say Doom Mojo’s base is 337 Damage. It will normally deal upwards of 800-1,000 damage to certain targets (both friends and foes), and less to the other targets. However, with Black Fog being active, it would deal from 1,600 up to 2,000 damage to certain targets. This is insanely powerful, right? Doing 1600-2000 damage to some enemy units, plus a bit less to the rest is very efficient. Though, sure, your own team will also be wiped, or almost wiped. But wait! Let me put a cherry on the top of this cake. 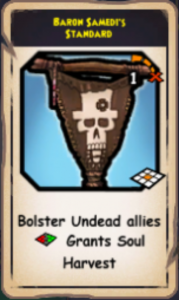 Baron Samedi’s Standard – Comes from Baron Samedi Banner from the $29 Hoodoo Bundle. All classes can use Baron Samedi’s Standard with Doom Mojo, to further increase its damage! This banner basically increases the Weapon Power stat by 100% to any adjacent Undead Companions. 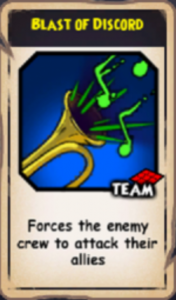 This means Old Scratch gets that boost as he’s an Undead Companion. As a result, the base damage of Doom Mojo + Fog + Banner rises up to AT LEAST 1,300 damage. With high rolls, it could nearly eliminate every single enemy on the battle board (and every friend, but efficiency 😉 ). If it criticals, the “nightmare” could get worse. It would definitely deal 3,000-4,500 to most of its targets. Some might randomly not be affected, thus surviving, but what power! Just think, one turn — two, as a soloist — and you can wipe any floor of the Smugglers Arena, put the Nefarious 5 on death’s doorstep, bring Kane and his court to their knees, and humble the might Moo Manchu. Your fancy tide and flames can’t do that, can they? That’s just what Swashbucklers can do. Privateer is also definitely one of the classes that are getting the greatest advantage from this power. They should use the same banner, BUT with a different second power: Firstmate’s Boon! Firstmate’s Boon is basically the Black Fog of Privateers, but with a bit of punishment to your pirate and a shorter duration. 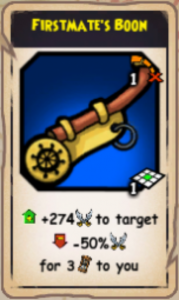 With this power and banner placed, it gives the same results as Swashbuckler with Doom Mojo. But… Why would you want the same results? Wouldn’t you want more? Don’t you want a guaranteed or a higher chance to land a critical Doom Mojo and wipe the board? Then you should use a 100% Will Buff with it! There’s no enemy stopping you if you’re wiping the board (including your companions) with a critical that deals 3,500-4000 damage. That’s huge. Super huge. The case for Witchdoctors, however, is a bit different. This class has the banner as its only choice to increase Doom Mojo’s damage. The same is true for Musketeers. This will increase the base to about 600-700 damage. 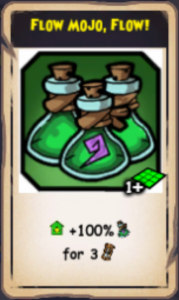 However, Witchdoctors might survive Doom Mojo’s damage for one very specific reason: Magic Resist. 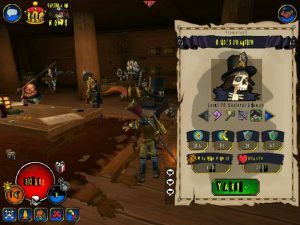 Witchdoctor Pirates, Companions and even enemies tend to have the highest Magic Resist in game at max level. For example, my Witchdoctor Pirate along with Old Scratch managed to survive a mega Doom Mojo during the Nightmare Old Scratch Fight due to my 110 Magic Resist. While my health bar went from 100% to 40%, Melee units with zero Magic Resist such as El Toro or Kan Po died in one hit from that mega Doom Mojo. So kudos to Witchdoctors with their Magic Resist! Musketeers have a significant amount of base Magic Resist as well, so the same theory applies to them. Doom Mojo is a nice power to use on a solo Witchdoctor or Musketeer. It’ll do a decent amount of damage (though not enough to win the battle instantly), and your Scratch-buffed AOEs will finish the job. However, I don’t think that Buccaneers have any use for Doom Mojo. After all, they don’t have any use for Old Scratch’s buffs outside of their Blood Flames and heals. If anything, Buccaneers can use the Banner with Doom Mojo if they’re a fan of Old Scratch. Still, I wouldn’t recommend it because of the lack of Magic Resist. 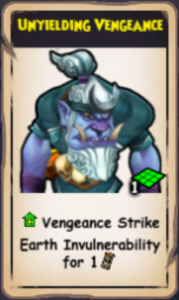 If things go wrong, your pirate can be greatly damaged; taking you to 50 or 25% health. It’s not worth the risk at all if you ask me and, of course, there are better options for you to use when it comes to companions. That’s all okay. But I’d love to try it without getting myself and my team wrecked. The answer to this question is definitely YES. Our Final Bastion Staff member, Matthew, has figured out a way for you to use Doom Mojo, with all of the Team Wiping Tools I’ve mentioned above, without getting your Pirate or your crew damaged. There is a way to have those pesky Nefarious 5, Smuggler’s Arena mobs, or Kane basically dead, while you and your entire team are safe from harm. Use the following power at the same round you’re using Doom Mojo: Unyielding Vengeance! Unyielding Vengeance – Power Grant from Friar Sand’s Unyielding Hirigana Weapon. Basically using this on the same round you’re going to use Doom Mojo (After using your banner and other applicable buffs the previous 1-2 rounds of course), will make your pirate any melee units (and only melee units!) adjacent to your pirate, immune to any upcoming hit/damage for the next round. This includes Doom Mojo. (As a side note, Old Scratch doesn’t take damage from his own Doom Mojo). That way, Doom Mojo would only damage or kill the enemy team. Of course, the weapon power of this weapon is “meh” or “okay,” as it’s a level 45 weapon. That shouldn’t be an issue as your companions will remain alive and you’ll use them to finish the rest of the living enemies. If there are any left, LOL! Also keep in mind that Friar Sand’s Weapon Power would still do decent damage regardless. 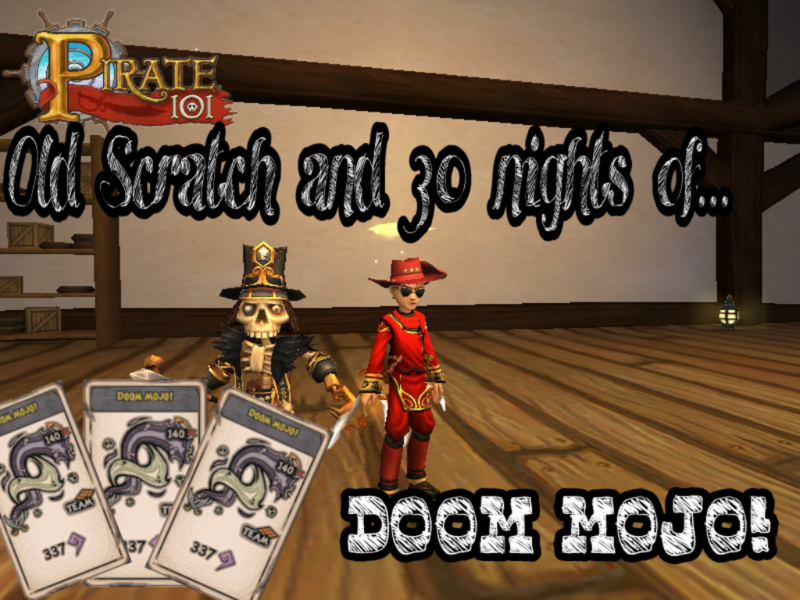 This strategy is for Swashbucklers, Buccaneers and Privateers who’d still like to use Doom Mojo with the insane setups we’ve used and tested before, at no risk to your own team. Musket and Witch can employ this strategy, but switching to a melee weapon will require you to sacrifice a lot of range and chain potential. There is a second choice if you want your Pirate to survive. You can use Valor’s Fortress on your pirate the same round you’re using Doom Mojo. This is effective if you don’t have Friar Sand’s weapon (or are a musket/witch that doesn’t want to equip it). It will help your pirate to tank Doom Mojo’s damage, as you will only take half the damage the power would normally deal on you. 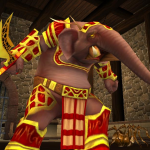 Every class has gear items that grant Valor’s Fortress, so look for those. If you’re able to also use a 25% Valor Shield — stacking it with your Valor’s Fortress — your pirate will have about 75% reduced damage. This is enough to reliably tank Doom Mojo and survive it. 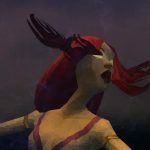 To end this article, let me repeat that Doom Mojo is EXTREMELY powerful. It has the power to transform Solo PvE from being easy (due to Mojo Buffs and Blood Flames and Moo Manchu’s Frozen Tide Boots), to ridiculously easy ! In my opinion — as much as I do love this power — it worries me to see how it made everything in PvE so much easier than it was before. The fact that it’s a ridiculously strong power could be an omen that we’re going to see more of these powers in future updates. Or maybe things will be more balanced and remain in the safe zone in the future. Thanks for reading and see you all next time! Now that we’ve reached to the end of our article, what do you think of Doom Mojo? Will you use it in your Solo Battles? I never got to test it out, but Buccaneers can you Doom Mojo to force Turn the Tide on themselves and their fellow Buc. companions to further rush the battle early on. Kind of like a Bezerker gameplay. While it can be a good way to get yourself into Turn the Tide, It is also a risky move for 2 reasons. First of all it may have a greater chance to land a crit and damage buccaneers than intended (Buccs have 39 will while scratch has nearly 90). And second it could kill bucks as they dont have any kind of magic resist and potentially lose a unit or the pirate player himself. It’s worth a try alone if you’re soloing but not really recommended. Glad to see your comment and i hope you enjoyed reading the article 🙂 See you in the skyways!